Preparing your family for back to school can be a stressful endeavor. Getting everyone back on a regular schedule is a daunting task. This can be particularly challenging when everyone needs to get ready to leave at the same time- especially when there is limited bathroom space. 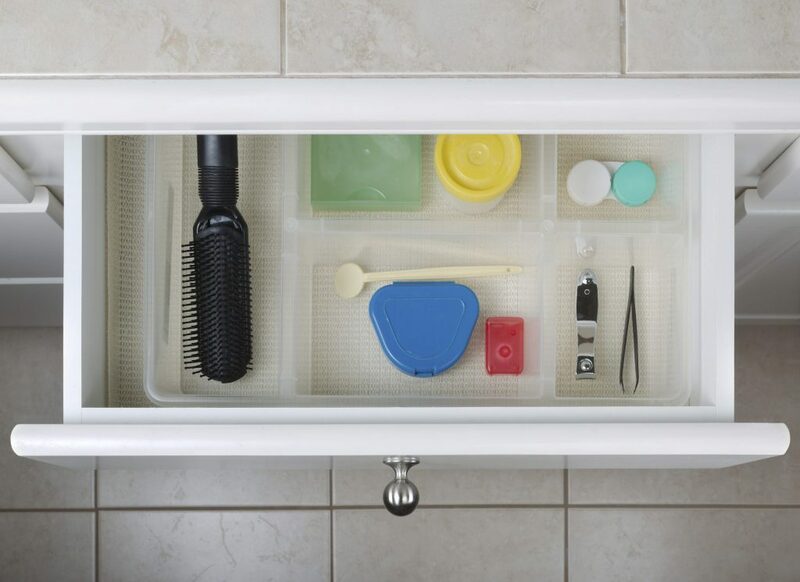 Here are several tips on how to prepare your bathroom to keep the back-to-school transition smooth and easy. Creating dedicated space in the bathroom for each family member minimizes clutter and helps cut down on time used to get ready in the morning. Mornings are crazy enough as it is, but knowing where everything is can help things run efficiently. Utilize extra space in linen closets or under counters to create a cubby for each family member. The use of bins keeps everything in one easily accessible place and clears counters for a neater appearance and easier cleaning. To make cleaning a breeze, daily maintenance is the key. Use a suction cup to hang a squeegee in the shower for quick and easy cleanup after each use. This saves time scrubbing mineral deposits and soap scum later. Keep a small bin of cleaning supplies in a cabinet under the vanity for a super fast daily wipe down of counters, sinks, and mirrors. Quick, daily maintenance efforts will save you from time-consuming weekly deep cleans. To accommodate multiple family members sharing one bathroom, adding a water closet for privacy can be a real game changer. Enclosing the toilet assures privacy while multiple family members need to be in the bathroom at once. A vanity area just outside of the bathroom is a great option to clear space for older kids who don’t want to share the bathroom with siblings or parents. It can be easy to let old products pile up in your bathroom, but taking time to declutter will give you more storage and a better piece of mind. Take everything out of your medicine closet and evaluate. Can some things be thrown away? Can you combine things to save space? Dispose of old razors, shampoo bottles, and lotions that haven’t been used in a while. Proper storage and organization are key to streamlining the back-to-school routine this fall. Following these tips will help you have the clean, clutter-free, and stylish bathroom of your dreams. And as always, contact us at Columbus Bath Design by Luxury Bath for any and all of your bathroom needs!